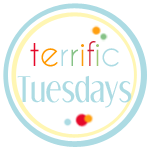 I made these fun name tags for a blogger meet up for I Heart Salt Lake last week. 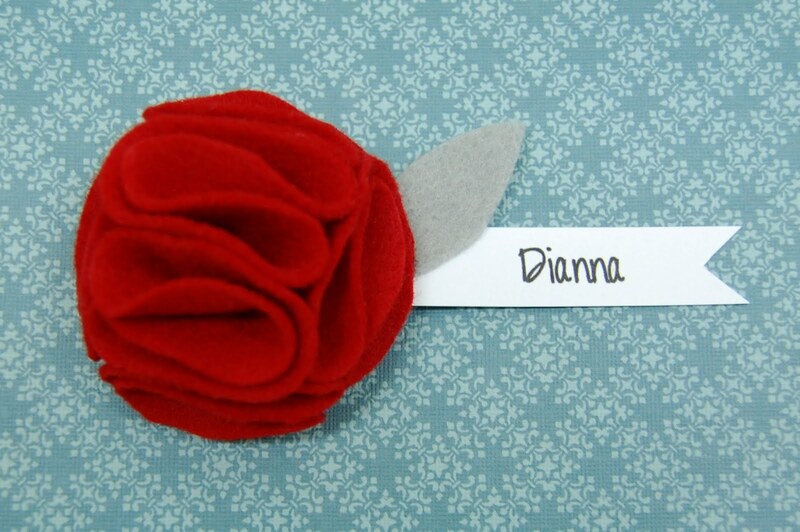 I wanted something different than the usual name tags & the felt flower name tags were really easy to make. 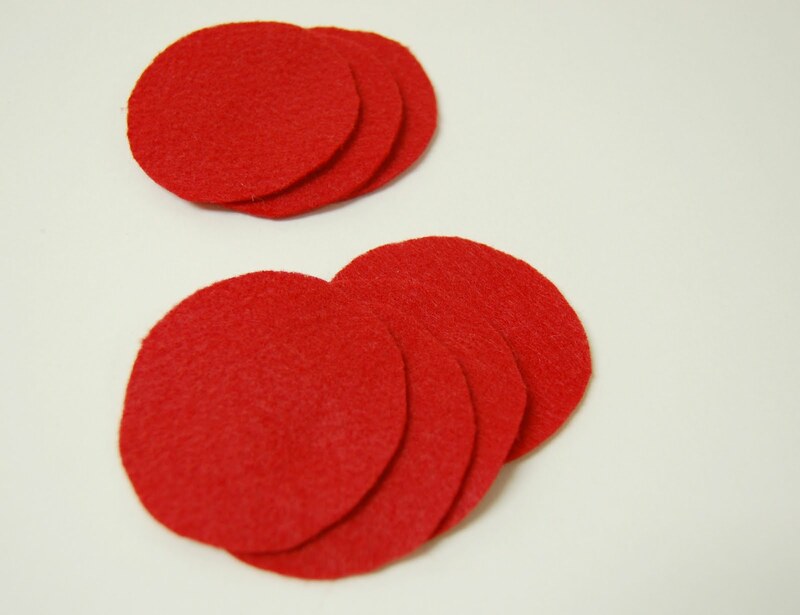 Cut 7 felt circles. Mine were 2 1/2" diameter. Prepare the petals by taking one felt circle and fold in half. 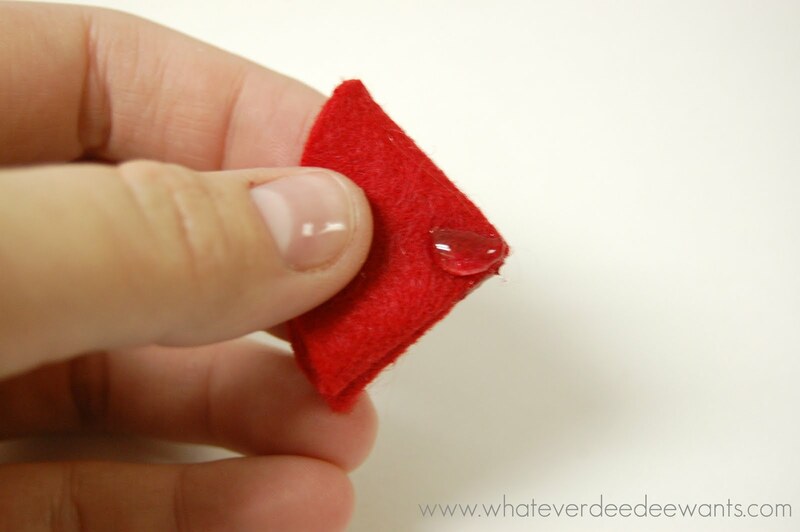 Place a small dot of glue in the middle of the felt, near the folded edge and fold in half again. 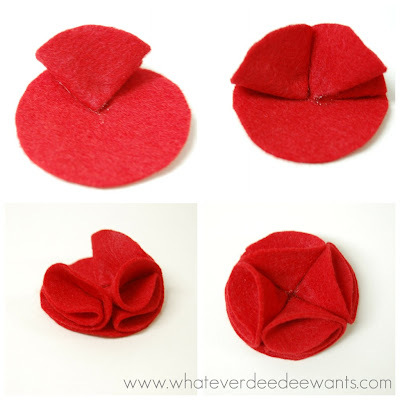 Repeat with 5 more felt circles so you have a total of 6 petals. 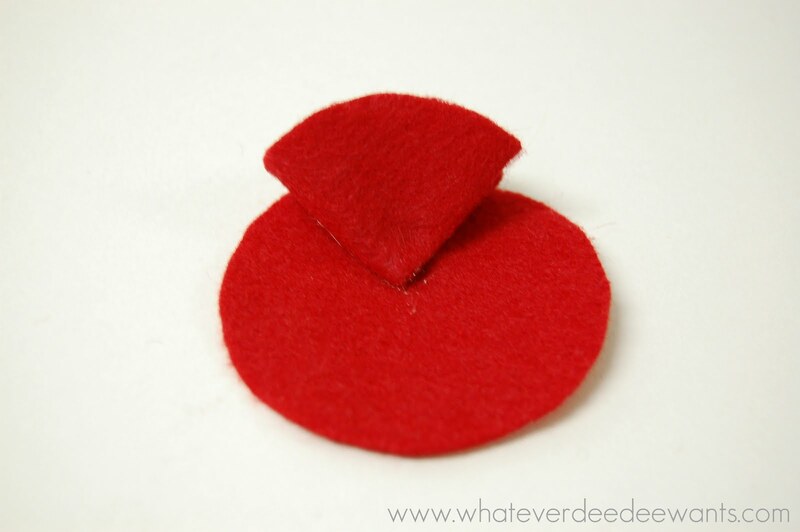 Place a small dot of glue on the corner of the petal and place on the remaining felt circle, as pictured below. 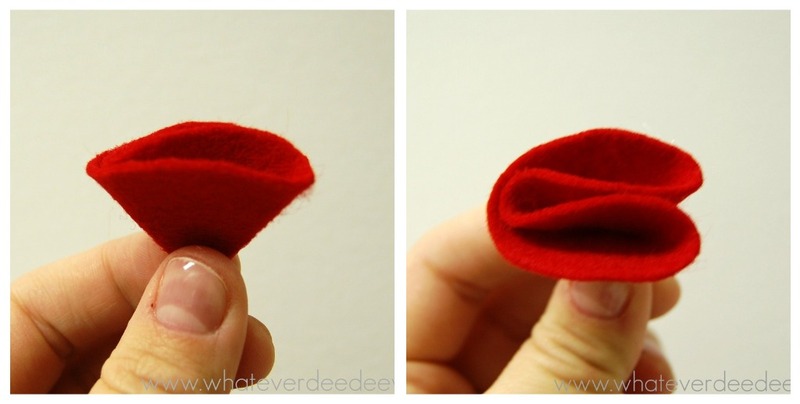 Repeat step 4 until you have 4 petals on the flat felt circle. Place a generous amount of glue in the center of the flower as pictured below. 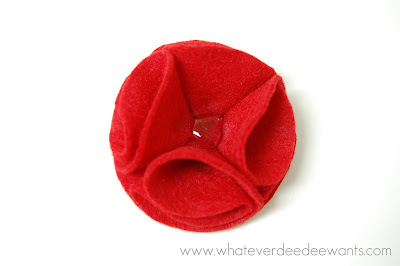 With the point down place the remaining 2 petals in the hot glue in the center of the flower. 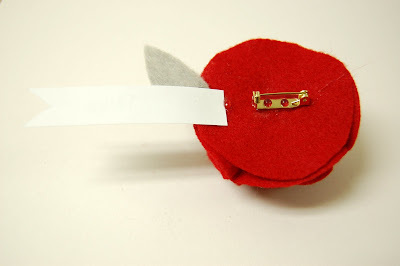 Cut a felt leaf and glue it to the corner of a strip of cardstock, then glue the end to the back of the flower. I pre-printed names on the cardstock and cut the end in a V for extra detail. 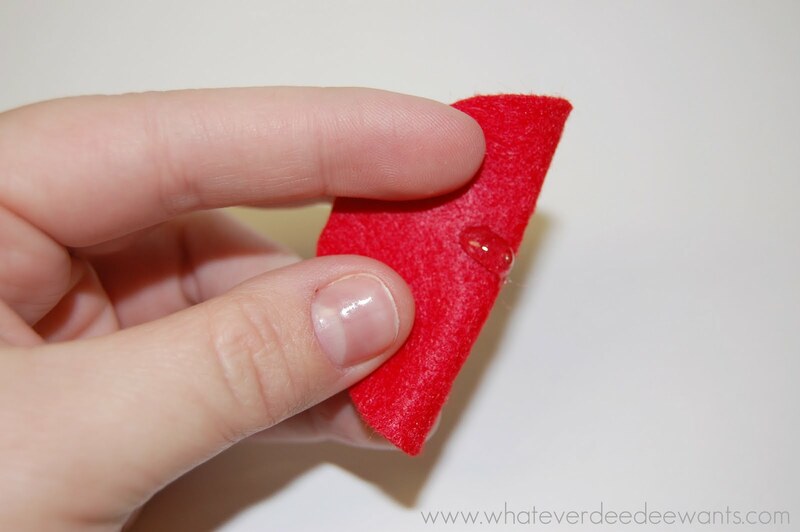 Glue a pin back to the backside of the flower. 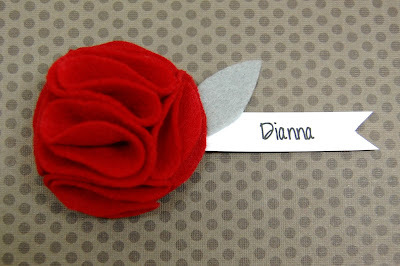 You can also leave the paper plain and let guests write their own name. 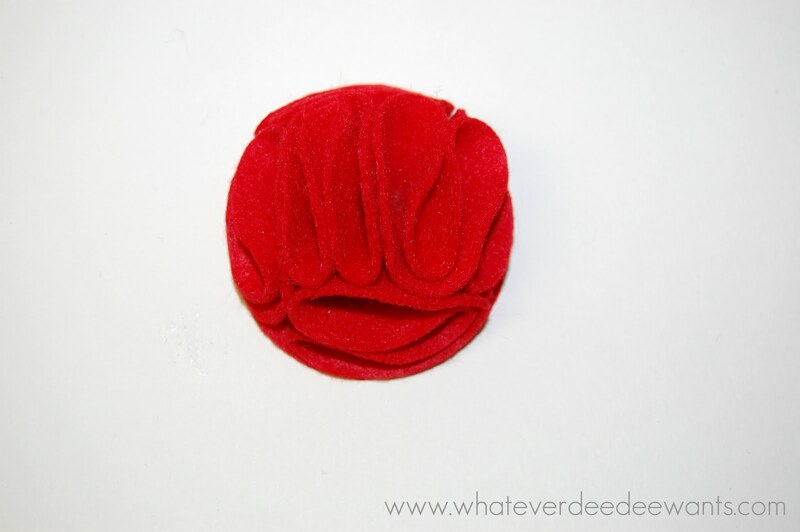 These little flower pins are also fun for Mother's Day. 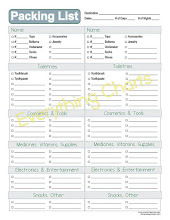 Write world's greatest mom or #1 mom. There are endless possibilities. That looks doable, even for me! Very Very Cute!!!! Got to remember this one! I love mine! I can't believe you made so many, they were (are) so so SO cute! 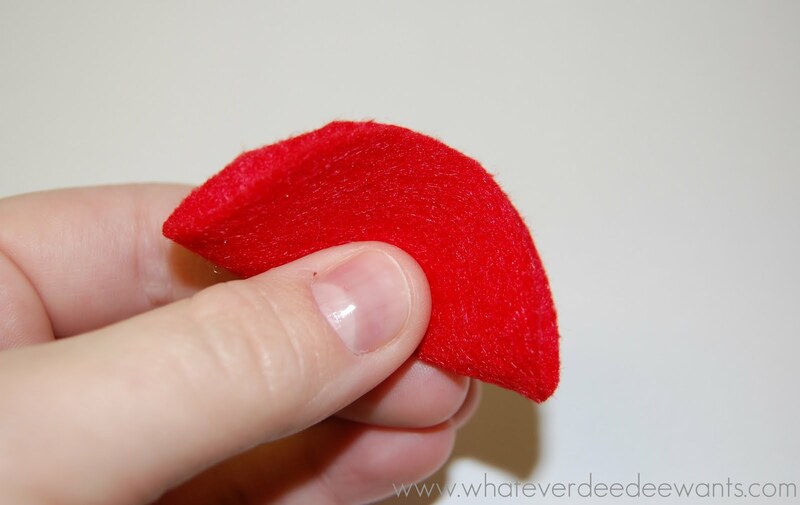 These are so cute and look so easy to make. I am hosting a scrapbook crop and these would be perfect name tags for our guests!! Thanks for sharing! Oh I love this idea! So easy and cute at the same time. 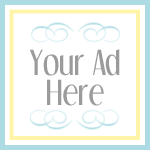 These can be for anything - even like a bridal shower for all the bridesmaids or something! 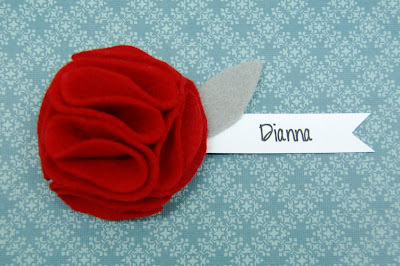 I love handmade flowers. Thanks for the tutorial, can't wait to try it out. Cute idea! I can think of lots of things to use it for! how cute. i love it! i just stopped over from BCD today.